Entry is in September with applications accepted between December and May (June for residents of Japan). Full details about the application process can be found on our website. Established in 1875, Doshisha University is widely recognized as one of Japan’s top comprehensive universities, with a distinguished history of education based on founder Joseph Hardy Neesima’s philosophy of “education guided by conscience.” Doshisha is one of the top four prestigious private universities in the Kansai (Osaka, Kobe, Kyoto) region, with 15 Faculties and Centers and 15 Graduate Schools. With a focus on sustainability, the Doshisha Global MBA guides students to explore and enquire beyond the established boundaries set by established theories and practices of global business and management to look beyond ‘business as usual’. As they grow into global-minded leaders, students will not only cover the breadth of standard MBA core subjects, but also develop deeper insights from the program’s three focus areas, and hone their analytical prowess through our program’s research thesis component. Our aim is to prepare future business leaders who are willing and able to respond effectively to the emerging needs of the increasingly diverse groups of people participating in the global economy. The Doshisha Global MBA program offers a unique experiential MBA to students willing to work in partnership with professors and local and multinational business leaders when exploring - and challenging - traditions and trends in global business and management. Doshisha Business School is located in the beautiful and historic city of Kyoto, within Japan’s “Kansai” region (centered around Kyoto–Osaka–Kobe). Set in picturesque natural surroundings, Kyoto offers an exciting blend of traditional and modern, with 17 UNESCO World Heritage sites, various artistic and spiritual pursuits, a safe and fun nightlife, and much more. The Kansai region is also the industrial heart of Japan, with a large number of manufacturers and numerous R&D centers and high-tech science parks. We encourage students to capitalize on being in this special place with its historic network of innovative and creative industries. Since its inception, a striking feature of the Doshisha Global MBA program is the diversity of the people who make our program special. The students we work with come from a wide variety of backgrounds and during their studies can collaborate with colleagues from over 30 different countries. We welcome applications from aspiring and inspiring individuals regardless of gender, ethnicity, religion, or nationality. Doshisha's Global MBA faculty is made up of active researchers with extensive experience in both business and the classroom. Visiting professors from top international business schools offer specialized courses and provide a global perspective. Small class size encourages close interaction between faculty and students, creating a unique and friendly learning environment. We also boast a capable and hard-working office staff who are dedicated to helping students smoothly deal with administrative matters. Learn more about our faculty on our website. Certificate of proficiency in the English language (where necessary), e.g. : TOEIC® Listening & Reading Test - 760 or above, TOEFL® - 83 or above (internet), 560 or above (paper), 220 or above (computer), IELTS™ - 6.0 or above, Cambridge Examination - FCE or above. Full details are available on our website and in the Admission Guide. If you are interested in applying for the program but would like to consult with us first, we invite you to submit an application for a preliminary interview. Our admissions team will put you in touch with one of our professors who will review your application and get back to you within five working days. Simply complete the preliminary application form and return it by e-mail to our office. Find out how to request a preliminary interview on our website. Please complete the formal application in accordance with the instructions given in the admissions guide and make sure all required documentation arrives to our office by the advertised dates. Full details about the application process can be found in the 2019 applications guide available on our website. The non-refundable application fee is 15,000 yen. Our admissions committee will fully review your application form and supporting documentation on receipt. Applicants who successfully pass this screening stage will be called for interview. The formal interview is conducted by the faculty members of Doshisha Business School (DBS) and is an important part of the applications process and an opportunity for us to assess your motivation, communication skills, and suitability for the program. Applicants residing in Japan will be invited to a face-to-face interview in principle. Overseas applicants will be interviewed using video-call. Successful applicants will receive an offer letter and are required to pay a non-refundable admission fee by the specified deadline. Once you have accepted your place and paid the admission fee, you can then proceed to the registration procedures including immigration procedures for overseas applicants. Read more about the formal application process on our website. The total fee for two years for the Global MBA is 1,631,000 yen, but Doshisha University Merit Scholarships for Self-Funded International Students are available to all self-funded international students and reduce the tuition fees by 30%-100%. All successful privately funded international applicants for 2019 entry are eligible for tuition-reduction scholarships ranging from 30% to 100% of tuition fees. In addition, we are pleased to be able to offer several scholarship and funding opportunities to promising Global MBA applicants. For full details on scholarships and costs, please visit our website. A safe, exciting, and fascinating country and one fully integrated into the dynamic Asian economy, Japan is an excellent place to study for your MBA. Doshisha Business School is located in the ancient capital of Kyoto, which lies at the heart of the broader Kansai economy. Home to 17 UNESCO World Heritage sites, Kyoto is the location of choice for innovators, academics, and all those wishing to surround themselves with a fascinating balance of the past, present, and future. While traditional Kyoto draws tourists from all over the globe to its temples and gardens, modern Kyoto offers everything that the resident or visitor could desire: exciting shopping districts, a safe and fun night life, a variety of natural and spiritual pursuits and institutions, and access to Japan's international hub cities of Osaka and Kobe. The Kansai region of Japan (centered around Kyoto-Osaka-Kobe) offers a multicultural environment with China-towns, Korea-towns, and a huge range of cultural and entertainment events. With the largest number of manufacturers in the country, Kansai is regarded as the industrial heart of Japan and is deeply connected with the broader Asian economy. Many leading Japanese companies, including Nintendo, Panasonic, Kawasaki, Itochu, Sharp, Daihatsu, Daikin, Kyocera and Omron, were established or are headquartered in the region, and Doshisha Business School maintains strong relationships with local industry. With cutting-edge research institutes and dozens of universities, Kansai is a major R&D center, boasting a large number of high-tech science parks and next-generation industrial clusters. 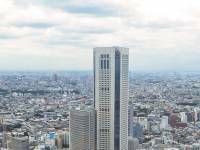 Many leading multinationals, including AstraZeneca, Bayer Healthcare, P&G, Haier, Recaro and Nestlé, have also chosen Kansai as their Japanese base. At Doshisha, you will find that the university provides a wide range of student support to help you settle into your new life in Japan. Finding the right place to live is essential for making the most of your time studying and living in Kyoto. We will be happy to introduce you to housing agencies who can provide you with a list of accommodation options to match your budget and lifestyle. The Global MBA student body brings together a diverse group of people from all over the world, with various academic and professional backgrounds and a broad range of life experience. See what students have to say about our program and why they chose to come to Doshisha. Studying in Japan is a dream come true for me. Four years ago, I was able to do an internship in Kyoto. Staying 6 months in such a magnificent and inspiring city wasn’t enough for me. I wanted to learn further about the culture and to further experience the beauty of Japan. Therefore, I decided to continue my studies at Doshisha Business School. Apart from the ideal location, I picked DBS for its renowned MBA program with a strong emphasis on social responsibility. I hope to expand my knowledge and to acquire the necessary skills to create my own company during these 2 years.